Today was the day. 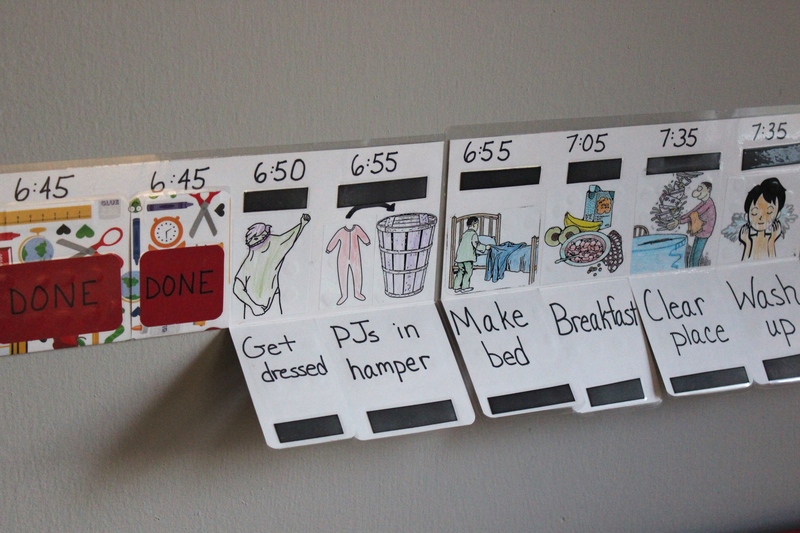 Corin got up to his alarm and followed his schedule, just like we’ve been practicing, only this time, it was for real. 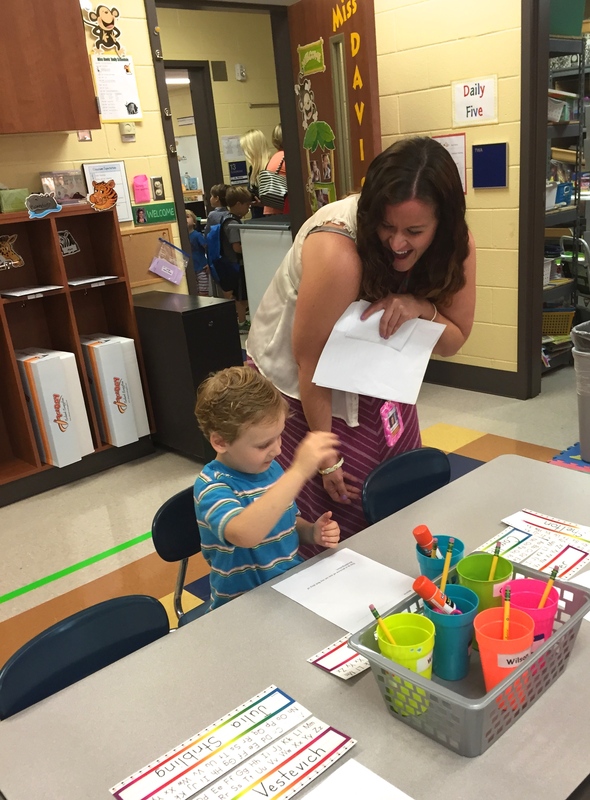 Monday, he went in for his kindergarten evaluation, and last night at 5:30, he got a recorded call from Miss Davis, letting us know she would be his new teacher. He listened to the message about 10 times and has radiated excitement ever since. For those of you who know what this summer has been like around here, you’ll know this was good news. 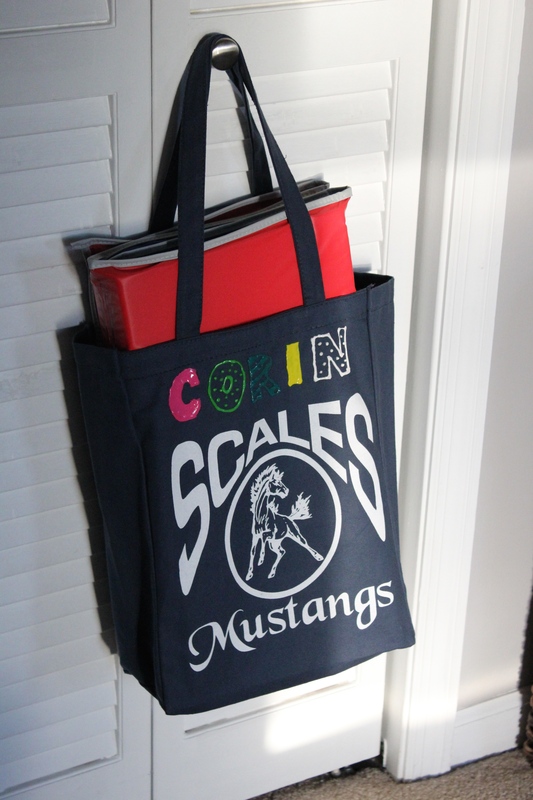 Corin has been very apprehensive about the approaching school year. I was pretty sure he’d be fine once school actually started, but his anxiety had me a little worried about how he would navigate the change. 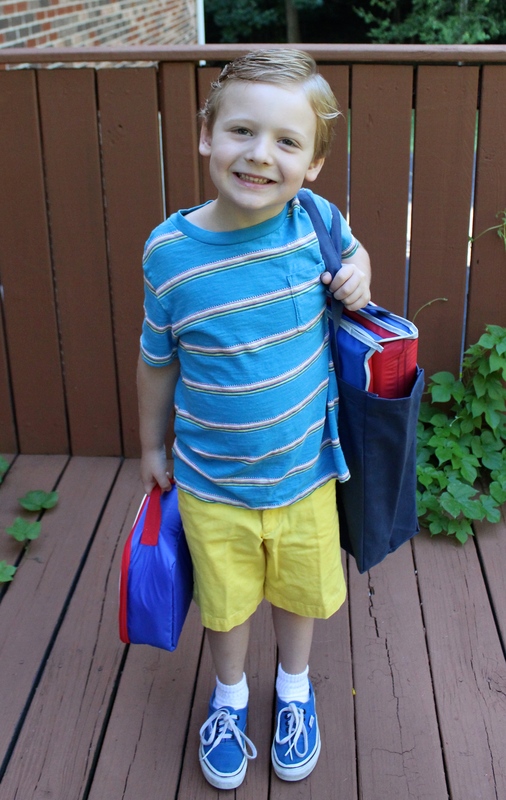 It’s so like him that the summer was high drama, but the actual start of kindergarten was smooth as butter. 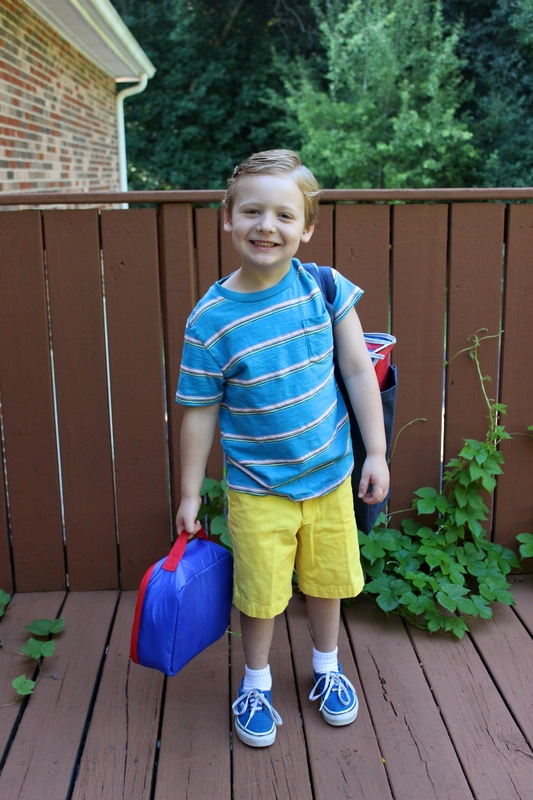 He dressed himself and ate a little less breakfast than usual while repeating, “I’m ready to go to school. I can’t wait!” He let me take pictures without protest. 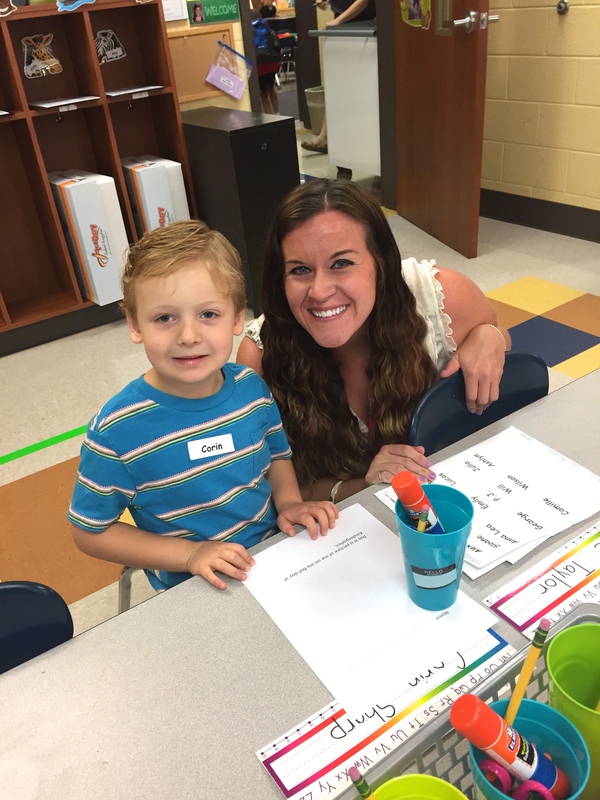 When we arrived at his classroom, he walked in with almost no hesitation, struck up a conversation with his new teacher (whom he had apparently already chatted up during evaluation), went with her to find his seat, and settled right down to the first project of the day: drawing a picture of himself on his first day of kindergarten. I got a couple of big good-bye hugs, and then he went right back to his work. He came home from his half-day looking a little tired but reporting a good day. He’s home tomorrow, another half day on Friday, and then Monday begins the full schedule – and his first time riding the bus. 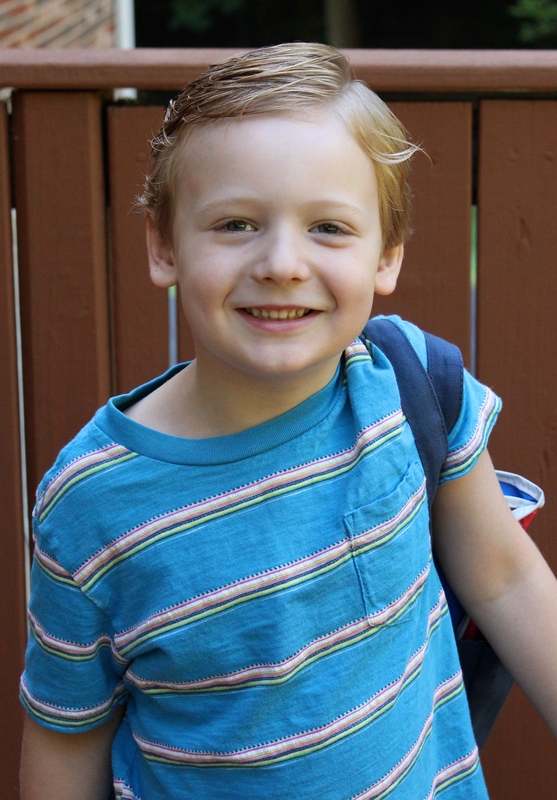 And so my firstborn begins his honest-to-goodness school career. So far, so good. This entry was posted in Uncategorized and tagged first day of kindergarten, kindergarten, scales elementary school, school. Awesome. Made me tear up!!! Good for you Colin. 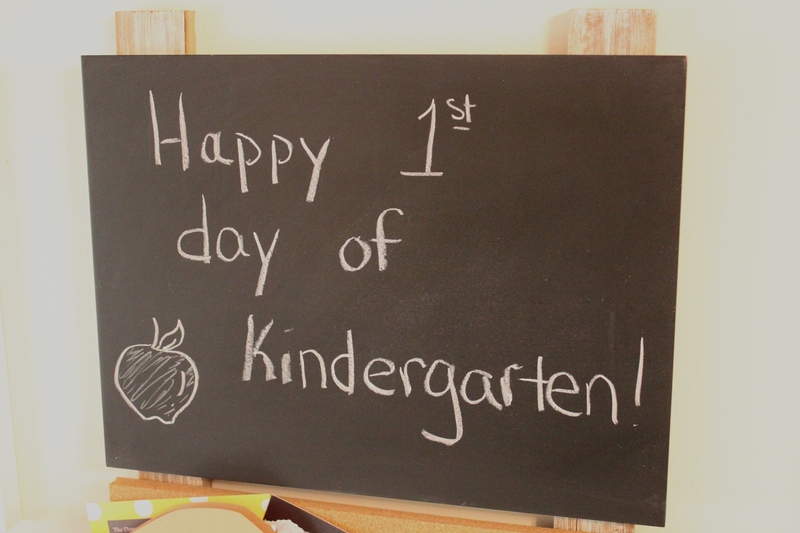 Happy Kindergarten!! !